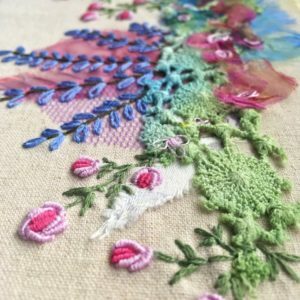 This is a lovely creative embroidery workshop for those of you who would like to come and play for a day. 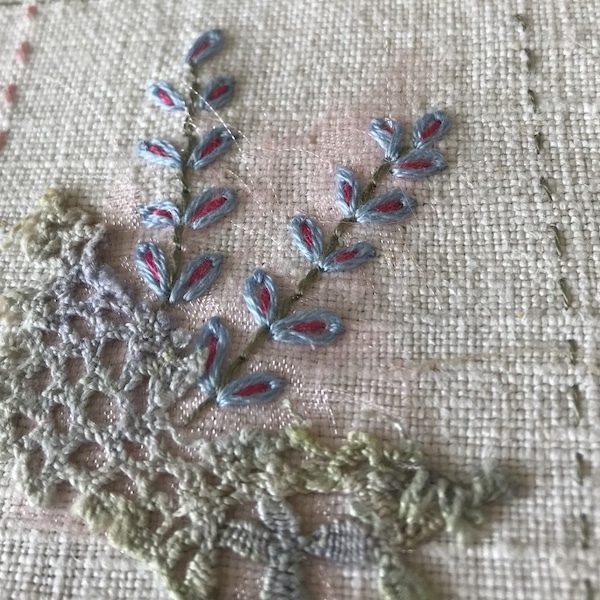 You will work on a small piece of good quality linen as a base fabric. 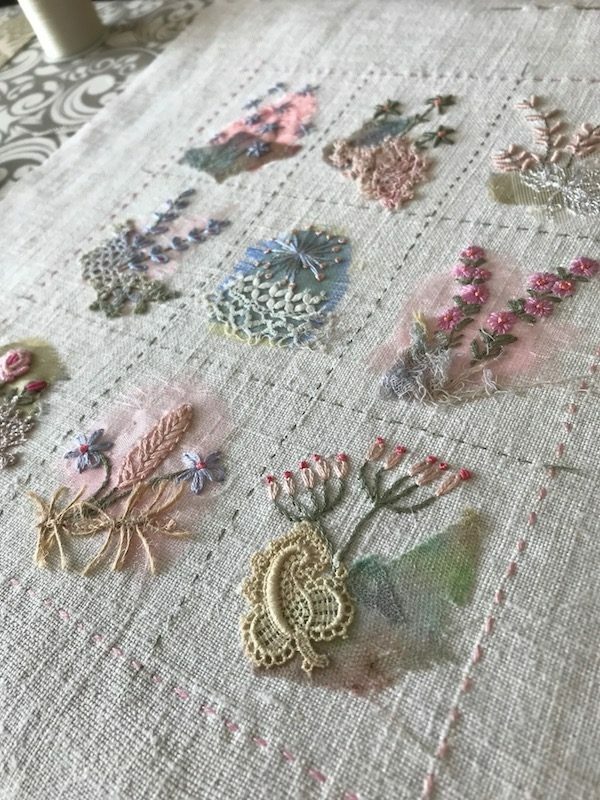 You will choose your colour scheme first then select fragments of fabric and lace, snipping and tearing to stitch interesting backgrounds. 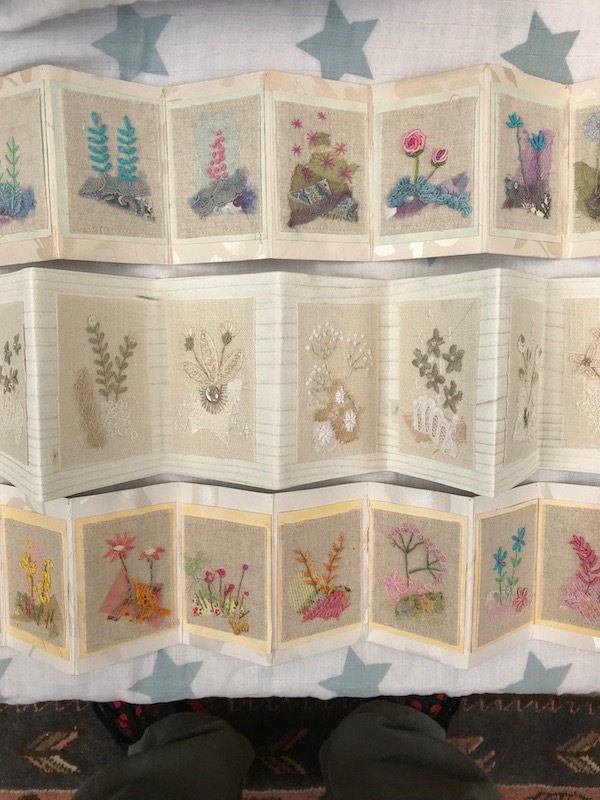 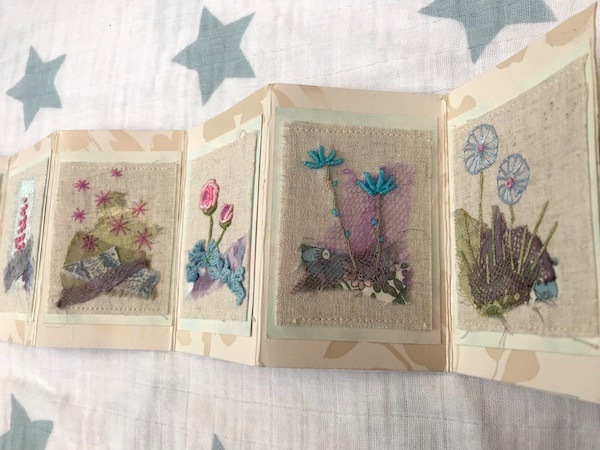 Then using Julie’s mini books as inspiration, will choose your stitches and add different flowers onto each of the 8 squares. 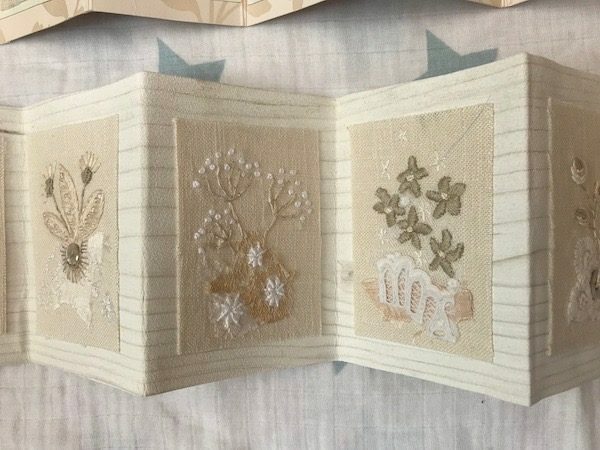 You can choose to make this one picture, ready to be framed or make it into a mini concertina book. 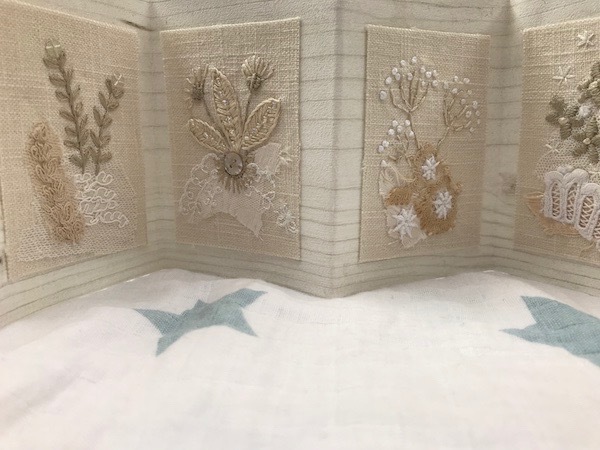 Up to you how you show your work off! 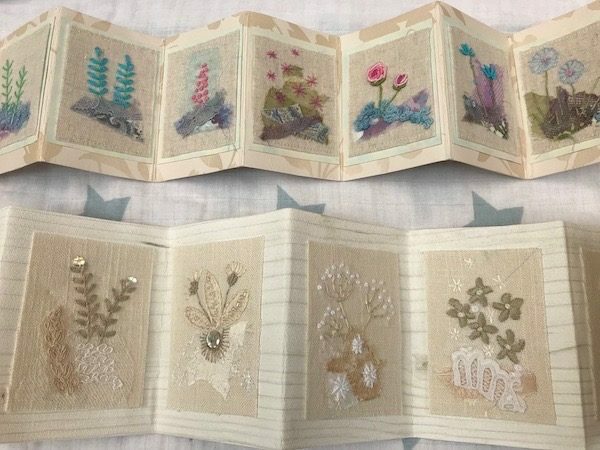 At the end of the day you will take away your beautiful mini book with your precious stitched pieces- each one a work of art in it’s own right. 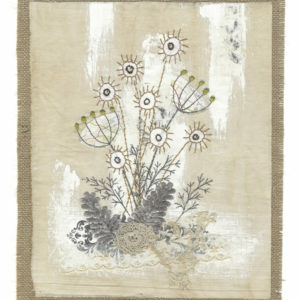 Can be displayed easily for you to admire everyday. 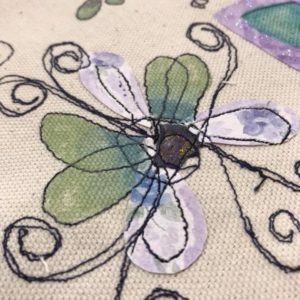 This is suitable for beginners as anything goes and sometimes the simplest of stitches can be the most effective.